Whenever you are buying a new property, you need to have it inspected by a company that understands septic tanks and can detect and problems they may have. Having this done can save you repair or replacement costs of the tanks once you purchased the property. Our technicians first conduct the septic inspection to evaluate the septic system. Depending upon the extent of the problem, they provide relevant solutions which might include septic tank pumping, repair or maintenance or new septic tank installation. Regularly scheduled septic tank cleaning will help avoid any future problems. This will also help protect your drainage fields from damage. To replace the field can become expensive. 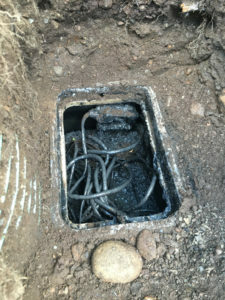 We have been offering septic tank cleaning services for Friday Harbor clients for a long time. For us, no project is too big or small. As part of our septic service, we will teach you what signs you might experience that are early indicators of a septic related problem. You should call us immediately for septic tank cleaning and septic pumping when you notice any of these signs. 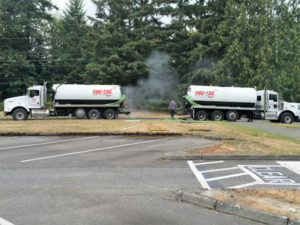 Why Should Friday Harbor Residents Choose Us for Septic Pumping? 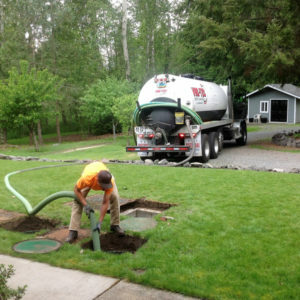 We are the right company to choose for septic pumping in Friday Harbor. We offer you these plus a lot more. Whenever you require septic tank pumping or septic tank cleaning in your Friday Harbor home, call VAC-TEC LLC. at Tacoma – (253) 777-4887 Seattle – (206) 339-0039 Olympia – (360) 338-6686 North Dakota – (701) 566-0045. Our representatives are here to help you.